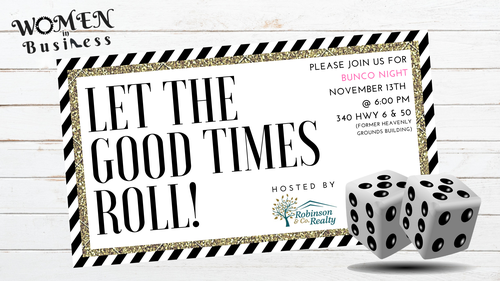 Event Description Join us on November 13th at 6:00 pm for a Women in Business BUNCO night! Dinner, drinks, BUNCO, and prizes! Join us for some networking fun. Hosted by Robinson & Co. Realty.